Your cancer treatment is over, but the treatments that may have saved your life may also continue to cause side effects. As more people are living longer after cancer treatment, more is becoming known about late side effects of cancer treatment. Find out all you can about late effects of cancer treatment, and use this information to help manage your health. What are late effects of cancer treatment? Late effects are side effects of cancer treatment that become apparent after your treatment has ended. Cancer survivors might experience late effects of cancer treatment years later. What cancer treatments cause late effects? 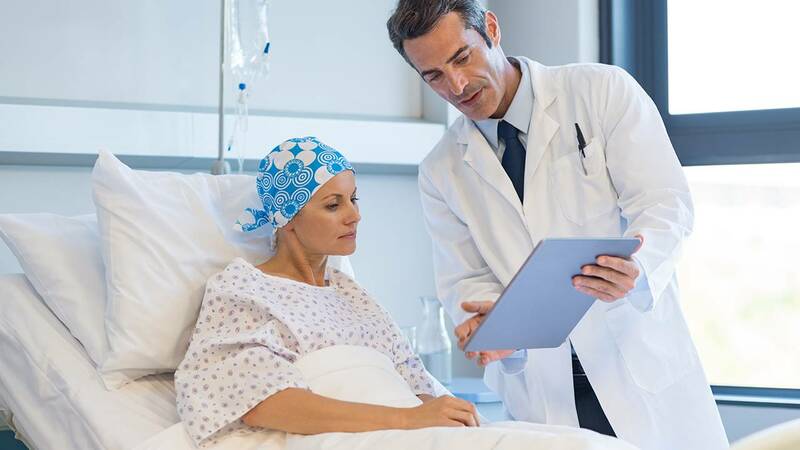 Late effects of cancer treatment can come from any of the main types of cancer treatment: chemotherapy, hormone therapy, radiation, surgery, targeted therapy and immunotherapy. As newer types of cancer treatment are developed, such as immunotherapy, doctors may find that these treatments also cause late effects in cancer survivors. Keep in mind that not everyone who has cancer treatment gets each of the late effects, and some people might not experience any late effects of treatment. Different chemotherapy drugs cause different late effects. So if you didn't take the chemotherapy drugs that can cause infertility, then you aren't believed to be at risk of that particular late effect. Late effects of radiation and surgery will affect only the area of the body exposed to them. So, for example, if you had radiation to a part of your body other than your head or neck, then you won't be at risk of cavities and tooth decay as a result of your radiation therapy. What late effects might people who were treated for childhood cancers experience? If you underwent cancer treatment as a child, you may be at risk of many of the same late side effects of treatment as people who were adults during their cancer treatments. But you may also be at risk of additional late side effects. That's because children's bones, tissues and organs are growing rapidly during treatment, so cancer treatment can interfere during this critical time of growth. As with late side effects in adult cancer survivors, late side effects in childhood cancer survivors will vary depending on the type of cancer and type of treatment. Additionally, the age at which you were treated may determine what late side effects, if any, might be of risk to you. If you were treated for cancer many years ago, you may assume any health problems you have are related to aging, not past cancer treatments. Tell your doctor what you know about your childhood cancer treatments. If your parents or other family members have records of your treatment, provide those for your doctor. What signs and symptoms might signal that you're experiencing late effects of cancer treatment? Talk to your doctor about the late effects of your particular treatment. In some cases, your doctor will know what effects are at risk to you. But the late effects of many treatments still aren't known. Your doctor might be able to help you understand what signs and symptoms are clues that you're experiencing certain late effects of your cancer treatment. Your doctor might also screen you for late effects of treatment when you come in for follow-up appointments after your cancer treatment is completed. Report to your doctor any signs or symptoms that concern you. It's best to have them checked out so that, at the very least, you don't spend a lot of time worrying about what could be wrong. If you were treated for cancer many years ago or are no longer seeing a cancer specialist for checkups, talk to your primary care doctor about late effects. If you think you might be experiencing late effects or your doctor isn't sure what late effects to watch for, ask for a referral to a cancer specialist. What can you do to prevent late effects of cancer treatment? It isn't clear that late effects are preventable or why some people might experience late effects while others don't. While this can be frustrating, you can take steps to help cope should you experience late effects of treatment. Exercising and eating a healthy diet with lots of fruits and vegetables can help make you stronger and healthier. Avoiding tobacco, excessive alcohol use and prolonged sun exposure also are very helpful.